Valve is closed under this pressure [Pa]. Valve is fully open above this pressure [Pa]. 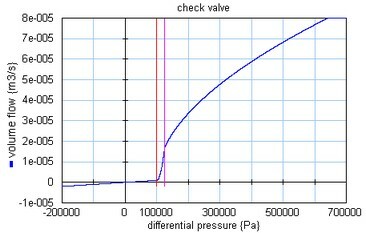 Conductance of closed valve [m3/s.Pa]. Maximum valve area when the valve is open [m2], A >= 0!